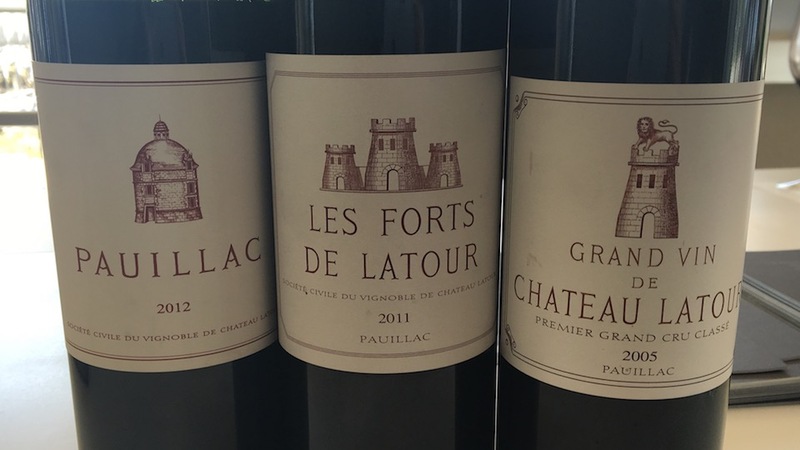 I saw Château Latour's 2017 library releases towards the end of my en primeur tastings in April 2016. The 2012 Pauillac de Château Latour is in an ideal spot for drinking now. The dried cherry, tobacco, mint, licorice, smoke and game flavors are nicely pushed forward. Even so, the 2012 is starting to fray around the edges, and there is an element of gaminess that suggests some brett and gives the wine its obviously rustic personality. I would prefer to drink the 2012 sooner rather than later. 89/Drink: 2017-2022. A wonderful surprise today, the 2011 Les Forts de Latour is terrific. Pliant, silky and racy, the 2011 offers considerable suppleness and sheer appeal. Hints of sweet tobacco, herb, licorice, cloves and leather add aromatic nuance throughout, but it is the wine's overall balance and feel that are most impressive. The 2011 will drink nicely for at least another handful of years. From a pure pleasure perspective, it is the most enjoyable of Latour's three new releases at this stage. 92/Drink: 2017-2026. The 2005 Latour is nowhere near being ready to drink. For example, both the 2001 and 2002 were much more expressive when they were re-released a few years ago. The 2005, on the other hand is quite muted, especially in its aromatics. There is plenty of depth, power and overall persistence, but readers have to be prepared to cellar the 2005 for at least another few years. Its longevity, on the other hand, should not be an issue. 96+/Drink: 2020-2055.